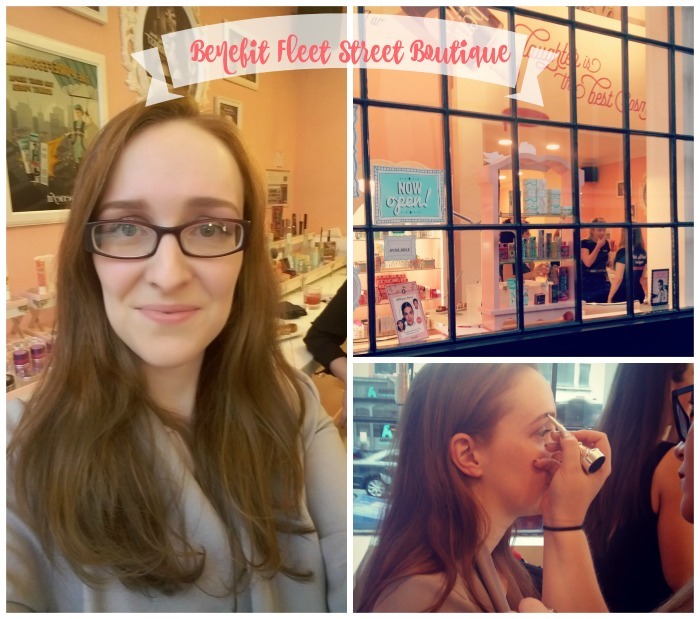 Emily bags us all a discount at the Benefit Fleet Street Brow Boutique! The first thing that comes to my mind when I think of Benefit is the packaging; it’s always gorgeous, isn’t it? Well, their new boutique on Fleet Street is packaged just as prettily as any of their products. The space is colourful and fun and suits the energy of the staff perfectly. The massive windows that look like they belong on a doll’s house give so much daylight that it’s the perfect spot for testing make-up and ya know, taking a selfie or two. Pop in to get your brows waxed, tinted, or just plain sorted out in my case (that's the after shot, above left). You can also pop in for a spray tan or a wax – as Mr Benefit himself, Mark said, they take it all the way to Hollywood now! So, what are you waiting for? Oh, a discount? Alrighty then! Use the code Bloggers Boutique and get 20% off their products and services until the end of August. Check out what we're loving from the new Benefit brows collection.